Current:Diesel #1 vs. Diesel #2: Is Premium Worth It? Diesel #1 vs. Diesel #2: Is Premium Worth It? As a fleet manager, it’s tempting to choose the cheapest fuel, but cost and cetane rating aside, have you taken the time to really evaluate the important differences between Diesel #1 and Diesel #2? It's not always easy to choose the best diesel fuel for your fleet. Cetane rating - which, like a gasoline's octane, indicates ignition ease - is the primary difference between Diesel #1 and Diesel #2. Really, it's a difference in fuel efficiency, volatility, and seasonality. Diesel #1 has a shorter ignition delay. A faster and more efficient start means less wear on your engines’ batteries. The higher cetane rating also reduces maintenance requirements, helping diesel engines to run smoothly. Diesel #1 has added lubricants. Premium Diesel’s added lubricants help keep fuel system parts moving freely. The reduced friction extends the life of the fuel pump and other fuel system components. Diesel #1 has added detergents. Over time fuel systems can gum up with sediments and other debris. Diesel #1 contains added detergents to clean injectors and other fuel system components while the engine is running. A clean fuel system not only lasts longer, it improves fuel efficiency and horsepower output. Diesel #1 has other beneficial fuel additives. In addition to lubricants and detergents, Diesel #1 has other fuel additives to enhance engine performance and reduce equipment downtime. Demulsifiers in premium Diesel work to separate emulsified water from the fuel so that it can be filtered out; even in a well-sealed fuel system air moisture can find its way in and result in major engine problems. Corrosion inhibitors prevent rust and corrosion from building up and stabilizers help to prevent clogs and build up. Diesel #1 performs in cold temperatures. Diesel #1 is also known as winter diesel because it performs better than Diesel #2 in cold temperatures. It has a lower viscosity and is not prone to gel in freezing temperatures. Most stations offer a premium Diesel mix that is blended for local weather conditions. Diesel #2 costs less at the pump. While premium Diesel offers a slew of benefits, resulting in fewer repairs and equipment downtime, standard diesel costs less at the pump and that’s an important factor to be weighed. However, total cost of ownership should consider the cost benefits of not just the fuel alone, but the resulting effect on continued maintenance expenses. Choosing between Diesel #1 and Diesel #2 may ultimately come down to the age and size of your fleet. When making the Diesel #1 vs Diesel #2 decision for your fleet, it’s important to note that the quality of premium Diesel varies from station to station. If you opt for Diesel #1, be sure to have your drivers fill up at reputable high-volume stations. Want to know more about how diesel options impact fuel systems? 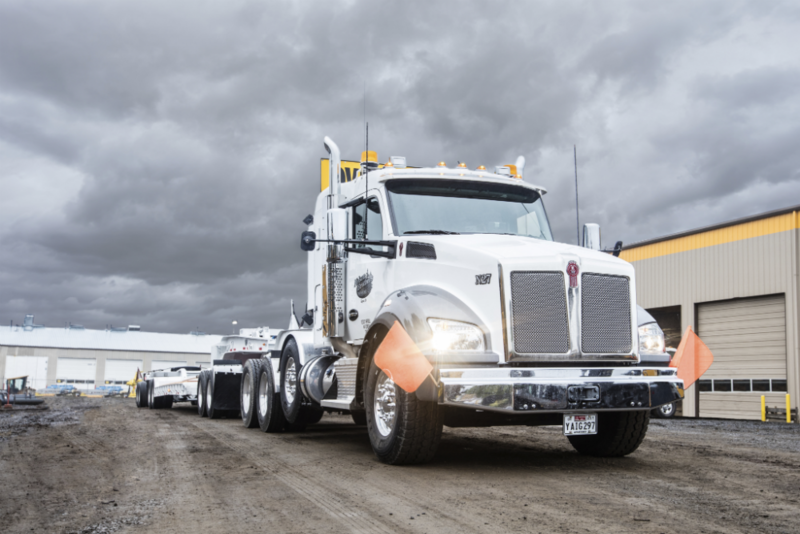 Contact your nearest Papé Kenworth location to speak with an equipment expert today. Crashes, theft, and vandalism are all inherent risks in the trucking industry and insurance companies continue to raise truck fleet insurance premiums to cover the costs. With higher deductibles and extra liability on the line, it’s more important than ever for fleet managers to focus on fleet safety with good training and reliable technology.